To prepare students for tomorrow’s world, we need to teach students how to access and use information effectively. 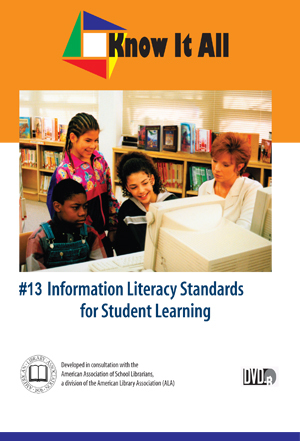 The American Association of School Librarians and the Association for Educational Communications and Technology have developed information literacy standards for student learning which describe core learning outcomes. These outcomes are process-oriented: the process is the content. In this episode, you will see elements from each standard illustrated in vignettes from the Know It All series. In these scenes, you will observe a variety of situations where students are engaged in the basic activities necessary to their becoming information literate, independent life long learners.